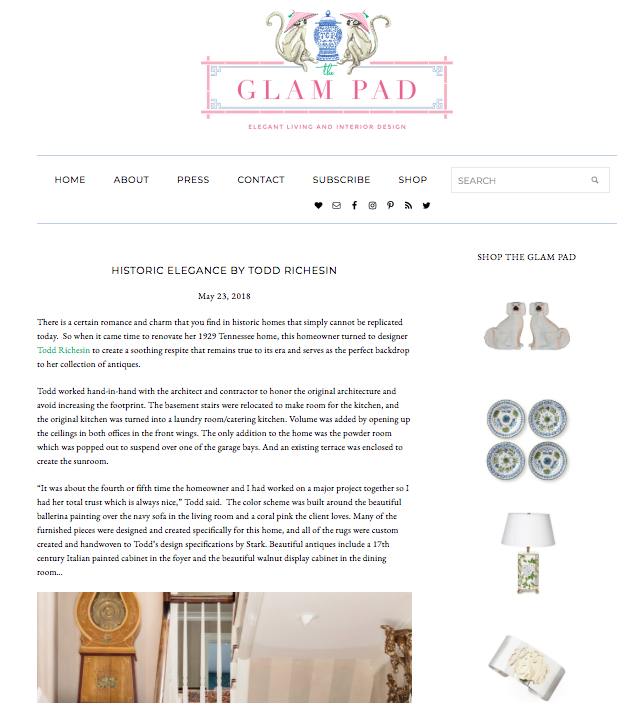 I'm honored to be featured along with Todd Richesin Interiors on The Glam Pad! What a beautiful home and an incredibly talented designer. It's always an honor working with Todd and his team. Check out the full feature on this charming, historic home here.